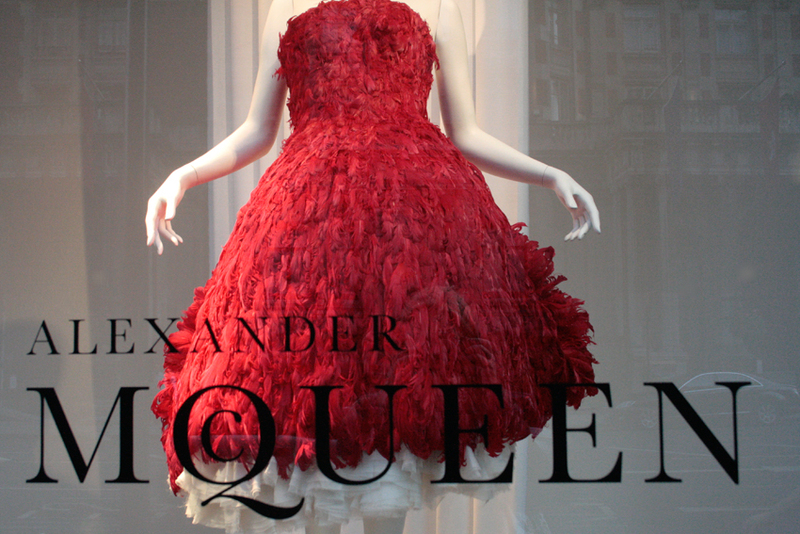 “ Alexander McQueen was a creative genius, visionary and inspiration to the fashion world, and one who was, and still is, sorely missed. 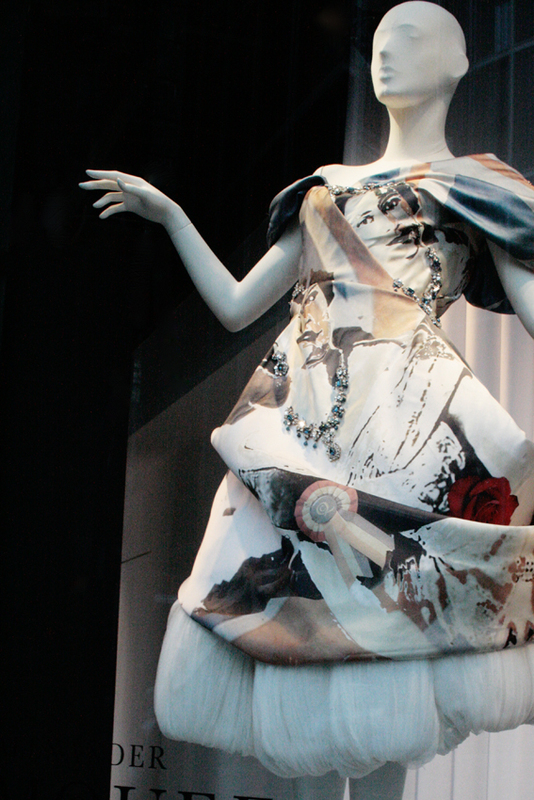 These windows provide us with an opportunity to salute both the man himself, and his spectacular body of work, which Sarah Burton continues to honour with her vision for the design house for the future. 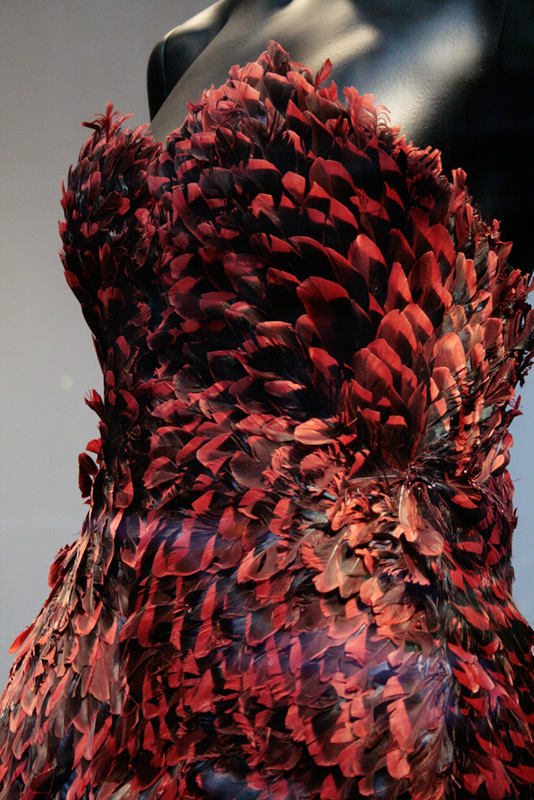 We shall miss Lee Alexander McQueen, but exhibitions such as these, help us to remember the sheer drama, masterful tailoring and tender, yet savage beauty the brand unwaveringly represents to all who love it the world over” says Averyl Oates, the buying director for Harvey Nichols. 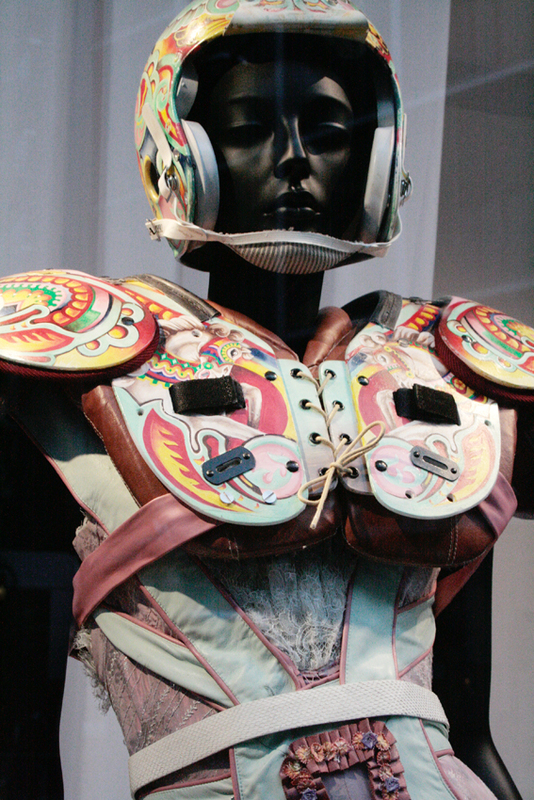 This dress and the piece underneath are both from the collection It’s Only A Game in S/S 2005. 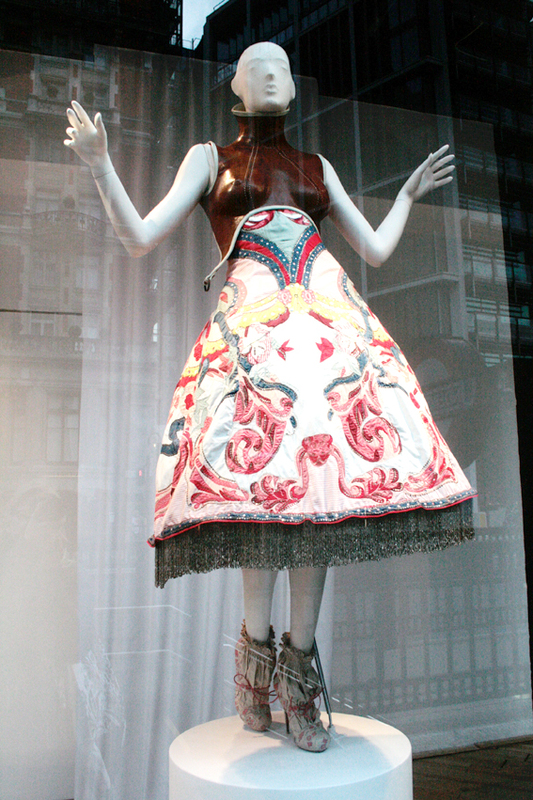 This gorgeaus gown is from the La Dame Bleue collection in S/S 2008. 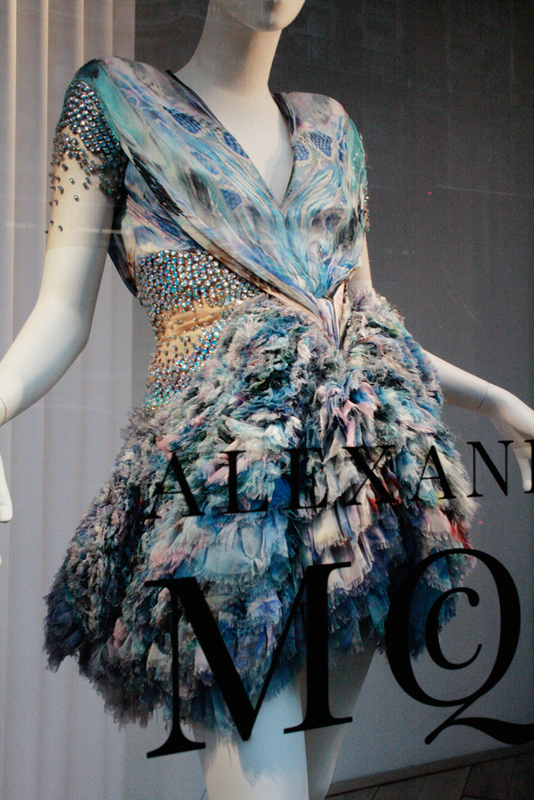 This dress I love so much, it’s from a more recent S/S 2010 collection Platos’s Atlantis. 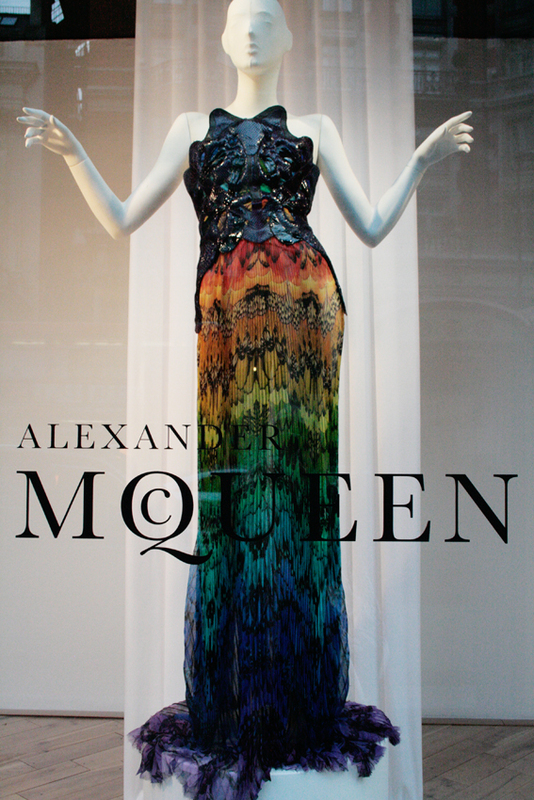 This entry was posted in Events and tagged Alexander McQueen, Fashion, Harvey Nichols. Bookmark the permalink.